One of the great things about car renderings is the ability to let your imagination go crazy. You can use an existing car model and re-imagine it without a roof, or you can get really creative and redesign it in a different body type altogether. There’s something to be said, then, for renderings that take two models from two different automakers and combine them to create an entirely new model. It’s the kind of Transformers-like job that we should be seeing more often in the real world. Or should we? The truth is, BudgetsDirect undertook this very exercise, and the results are all “interesting,” to say the least. As an added bonus, we’re doing our own part and renaming these creations in the best way we can. 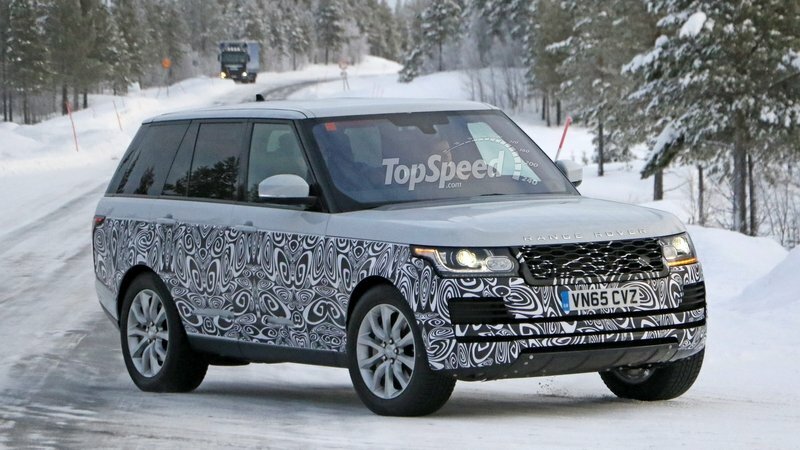 Is This The Refreshed 2018 Range Rover? Are they going off-road, or off-track? We’ve seen fully autonomous driving technology used in a variety of different applications, from simple A-to-B cruising and people moving, to high-speed racing and performance. 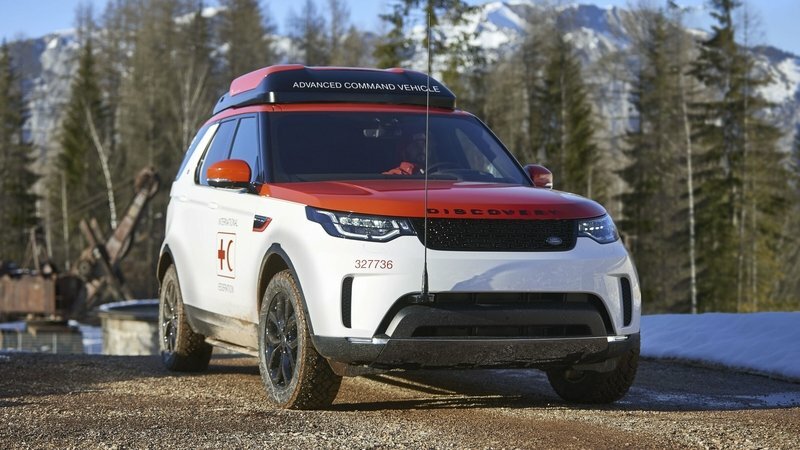 Now, Jaguar Land Rover is taking the robo chauffeurs off the beaten path as part of a new all-terrain self-driving research project. First introduced in 1970 under the British Leyland brand, the Range Rover was initially offered exclusively in a two-door body style, with a four-door version arriving much later in 1981. Now in its fourth generation, the Range Rover is about to get back to its two-door roots with a new limited edition called the SV Coupe. Created as a joint effort between Land Rover Design and Special Vehicle Operations (SVO), the Range Rover SV Coupe brings unique exterior style matched with superlative interior comfort and a serious wallop under the hood - for a price, of course. A two-door rival for the Bentley Bentayga? The auto industry has become increasingly competitive in recent years, and it seems that a lot of carmakers are set on launching the "world’s first" anything. With so many niches and technology around, this mission is becoming harder and harder each year, but some companies still find ways to brag about introducing something entirely new. 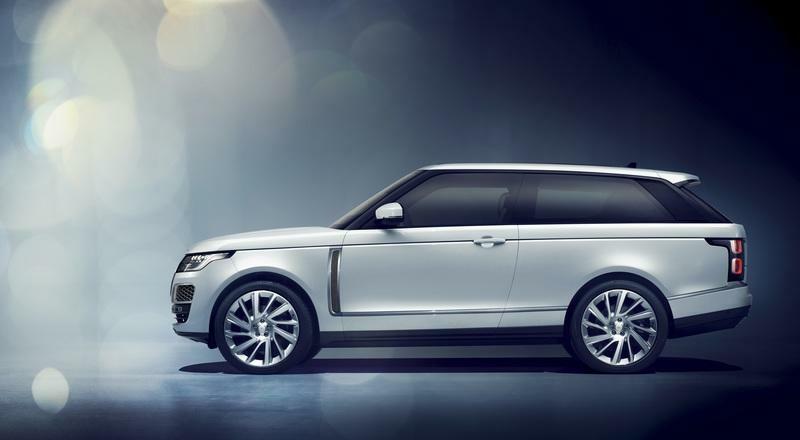 Land Rover is the latest to join the pack with the Range Rover SV Coupe. 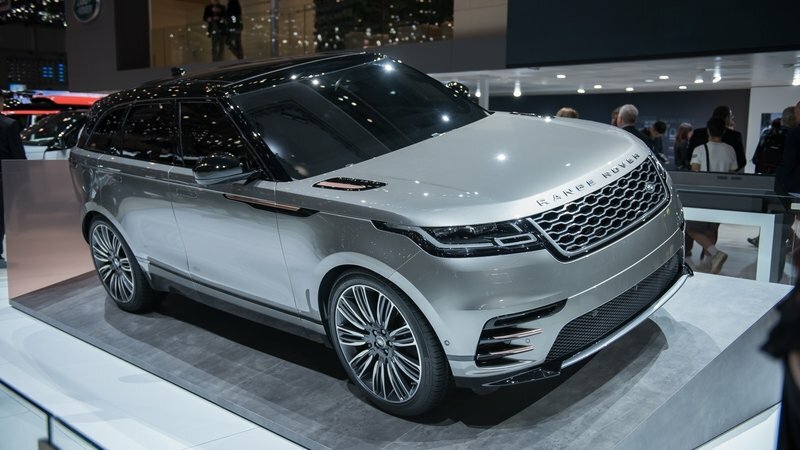 Launched at the 2018 Geneva Motor Show, it’s essentially a two-door version of the big Range Rover, and it’s described as the "world’s first full-size luxury SUV coupe." Yey marketing! 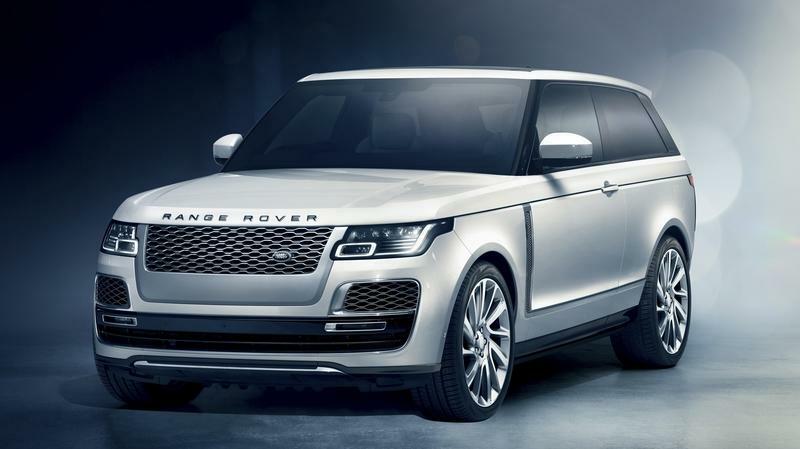 As part of its 70th-anniversary celebration, Land Rover is going back to its roots with the introduction of a two-door SUV called the Range Rover SV Coupe. 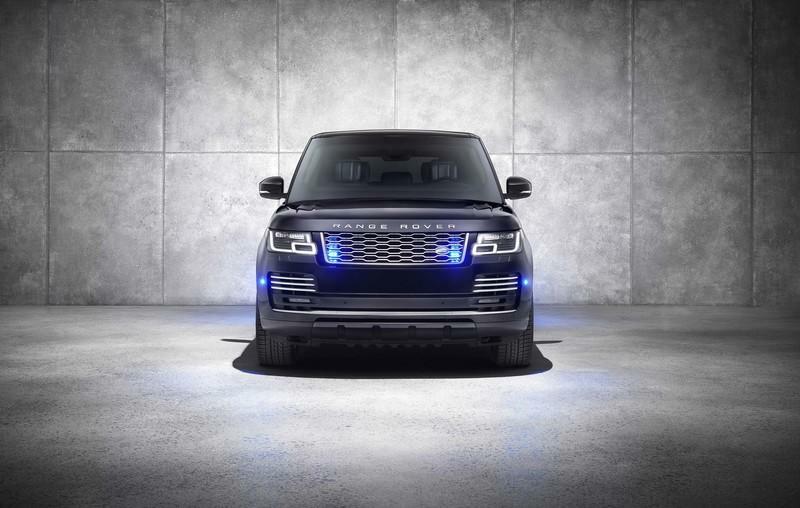 The special edition Range Rover pays tribute to the original two-door Range Rover that made its debut in 1970 and lasted until 1996. 22 years after the last two-door Range exited the stage, the Range Rover SV Coupe is arriving to celebrate the model’s incredible 26-year run and the automaker’s platinum jubilee. 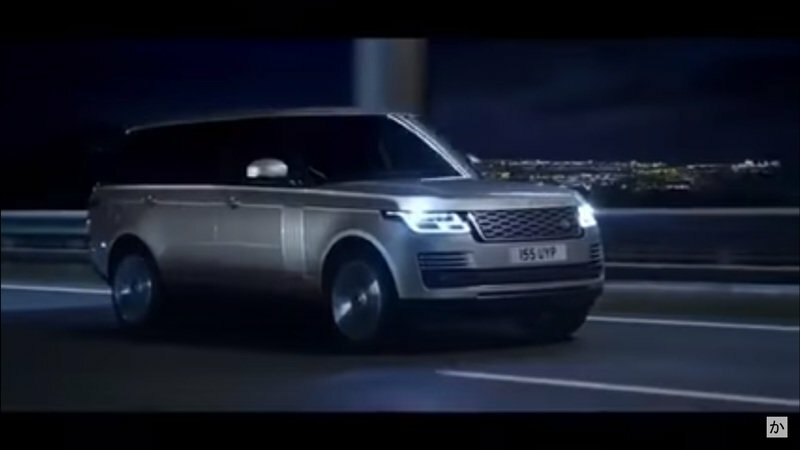 A leaked promotional video supposedly from Land Rover shows a heavily updated 2018 Range Rover. While information regarding the video is absent and Land Rover silent, there is plenty of information we can gather just by watching the 48-second commercial. The front fascia carries the biggest change for the exterior. The headlights are new and feature a redesigned LED pattern. The bumper has a slightly different arrangement of the familiar vents and grilles, now with the small, upper air inlets now connected to the long, horizontal grille. The upper grille is new, too, having a flat mesh rather than the creased mesh that formed a three-bar look as before. No noticeable changes can be seen on the sides and rear of the big Range Rover. As mentioned, the biggest changes happen inside. The dash retains its familiar shape, but the technology is far more advanced. The designers have takes heavy inspiration from the new Range Rover Velar, sculpting in the Touch Duo Pro system with its dual, 10-inch monitors. We’d bet the lower screen not only controls the HVAC system as seen in the video but also the Terrain Response 2 system and other vehicle functions, just as in the Velar and the newly updated 2018 Range Rover Sport. The main gauge cluster has an updated user interface on its fully digital screen. The gauges are still configurable, but the driver appears to have more say in what information is displayed – a welcomed improvement from the current Range Rover. Accordingly, the steering wheel controls are updated with touch-sensitive buttons, replacing the hard-key buttons of yesteryear. Of course, there are a few more details to discuss, so keep reading for more information. Welp, it’s Columbus Day, and while your grade school textbook probably filled you in on the basics (he sailed across the Atlantic ocean blue in 1492 to “discover” the “New World,” etc. ), there were also a few, uhm, less-than-pleasant outcomes to his journeys around the Americas – namely slavery, genocide, widespread disease, and generally tyrannical behavior. 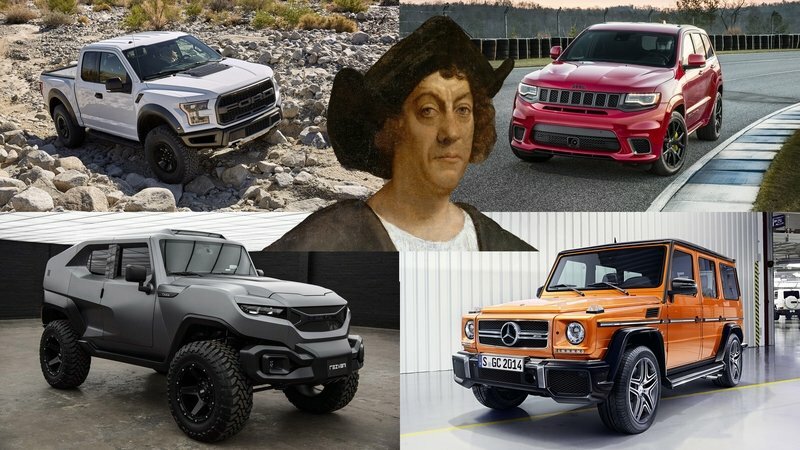 So then, in recognition of this, we’ve compiled a list of SUVs and trucks that a modern Columbus might use in exploration and/or the destruction of a civilization. The criteria are pretty straightforward – it’s gotta be capable, with the sort of off-roader chops that won’t leave the would-be conqueror stranded in a tough spot. It’s also gotta be practical, with enough space in back to haul away all those shiny stolen riches. Ideally, it would also be absurdly destructive to the surrounding environment, just so everyone else knows the score. So yeah, we’re getting a little morbid with this one, but hey, it’s Columbus – what did you expect? Continue reading for our list of 5 SUVs And Trucks To Help You Destroy A Civilization. 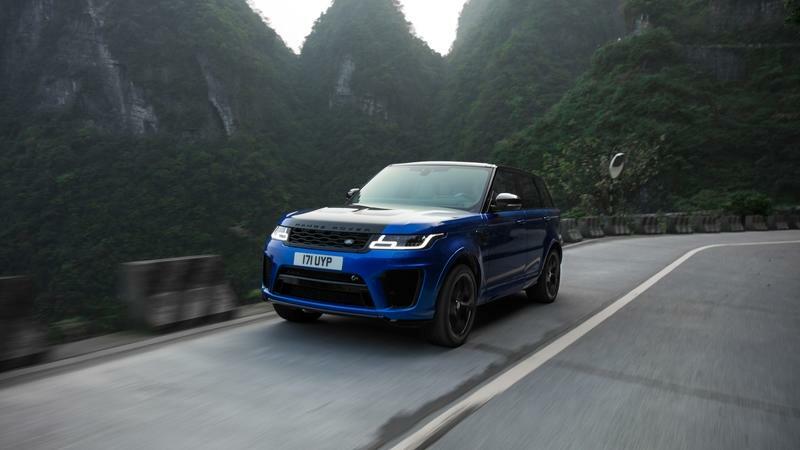 The Range Rover Sport is getting a facelift and thorough update for the 2019 model year, along with an all-new gasoline-electric hybrid variant called the P400e. In addition to the new exterior and swanky updated, technology-laden interior, the 2019 Range Rover Sport P400e will offer 31 miles of all-electric driving from its 13.1-kWh lithium-ion battery paired with a 2.0-liter gasoline four-cylinder. But this isn’t some slowpoke Prius. 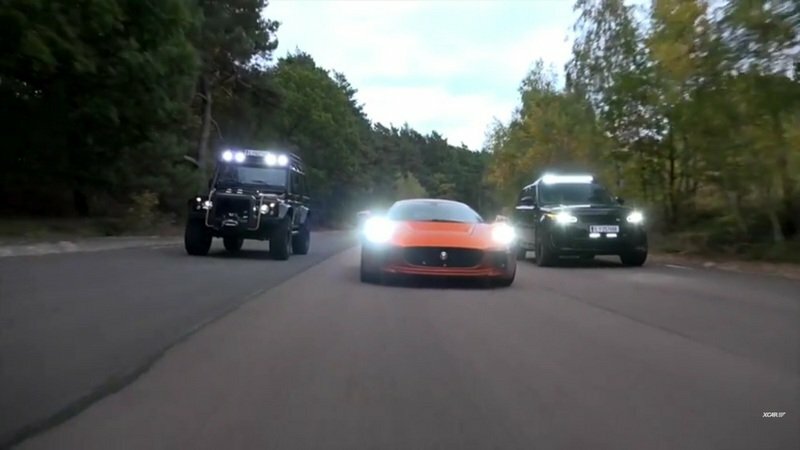 Rather, the P400e packs 404 combined horsepower and 472 pound-feet of combined torque to shoot this all-aluminum SUV to 60 mph in just 6.7 seconds with a top speed of 137 mph while also being able to squeeze out 101 MPGe on the European scale when driving conservatively. 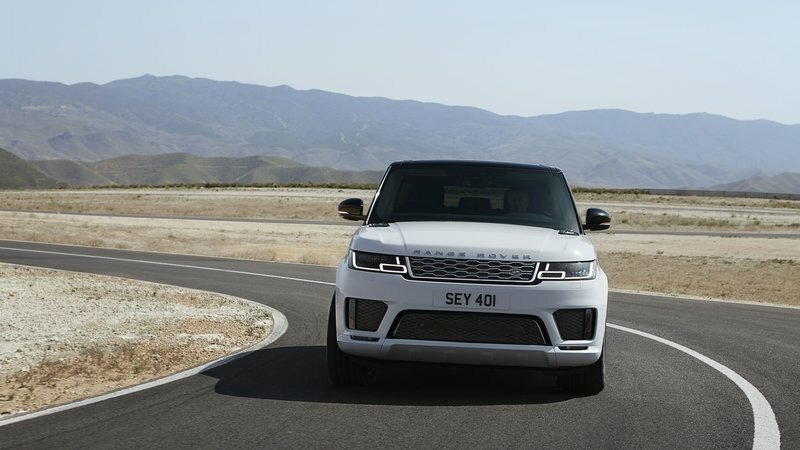 The 2019 Range Rover Sport P400e is part of Jaguar Land Rover’s recent promise to have an electrified variant of each of its vehicles by 2020. The P400e joins the all-electric Jaguar I-Pace crossover as the second member of JLR’s new-age lineup. Obviously, we can expect many more JLR vehicles coming with similar hybrid powertrains in the near future, especially since 2020 is only two model years away. While we have no insider information on the subject, it would be a safe bet JLR will use hybrid systems very similar to the P400e’s in the majority of its vehicles. The range will include everything from the sporty Jaguar F-Type to the luxury-minded Range Rover. Until then, let’s take a look at the 2019 Range Rover Sport P400e, its hybrid drivetrain, and its updated aesthetics and technology. Luxury SUVs looked a lot different 30 years ago. 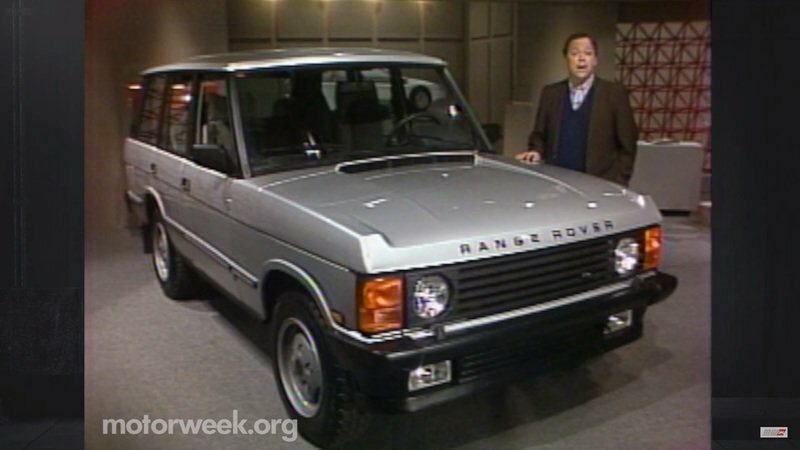 It was 1987 when Range Rover first invaded America’s shores. But unlike any previous British invasion, this luxury SUV offered comfort and convenience for citizens brave enough to associate with anything related to The Crown. And brave they would have to be – the Range Rover cost $30,000 in 1987, a hefty sum back in those days. Range Rover didn’t expect to find many of these brave souls, either, as only 5,000 examples were initially allotted to the U.S. each model year. What’s more interesting is how novel the concept of a premium SUV was at the time. MotorWeek’s host, John Davis, opens this segment by saying, “It seems no one though a luxury 4x4 could succeed in the U.S.” Boy, how times have changed. 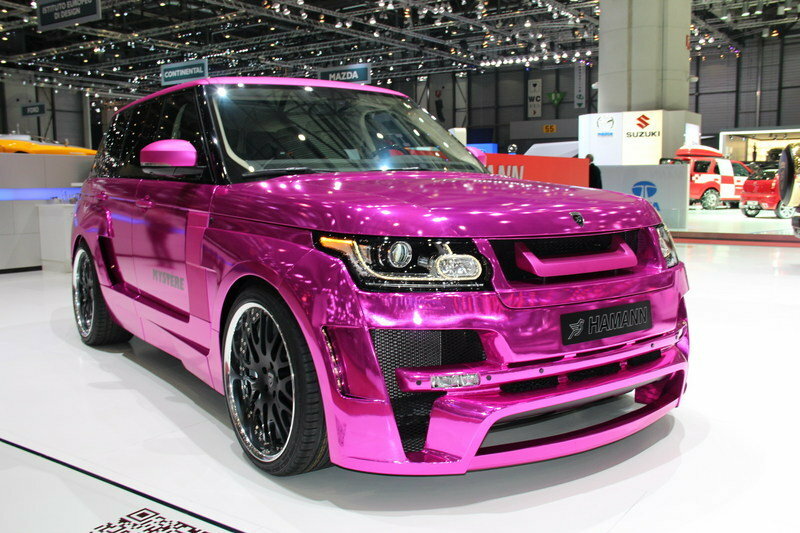 Fancy a dress-up for your Range Rover, sirs and madams? Land Rover is already regarded as one of the best SUV brands in the world. It’s a distinction the British automaker earned over years of being the standard-bearer of its segment. 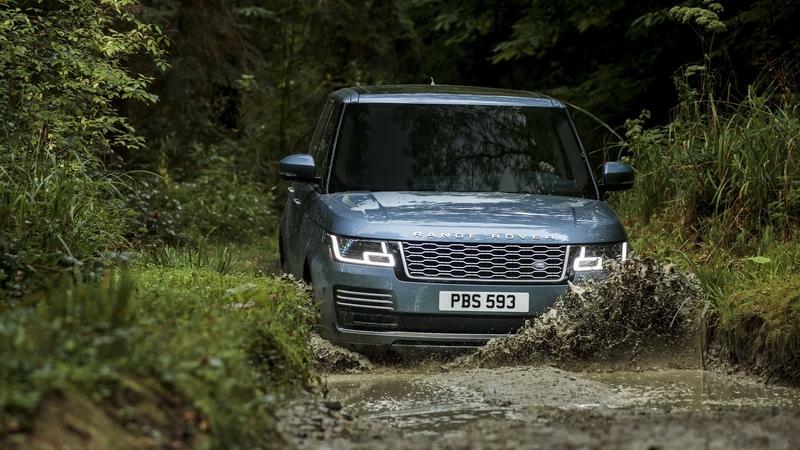 It comes as little surprise, then, that even with its status, Land Rover continues to find ways to give its customers more reason to come back for more. The latest hint of that comes by way of the new exterior Design Pack, which was developed and created by the brand’s in-house personalization arm, SVO. 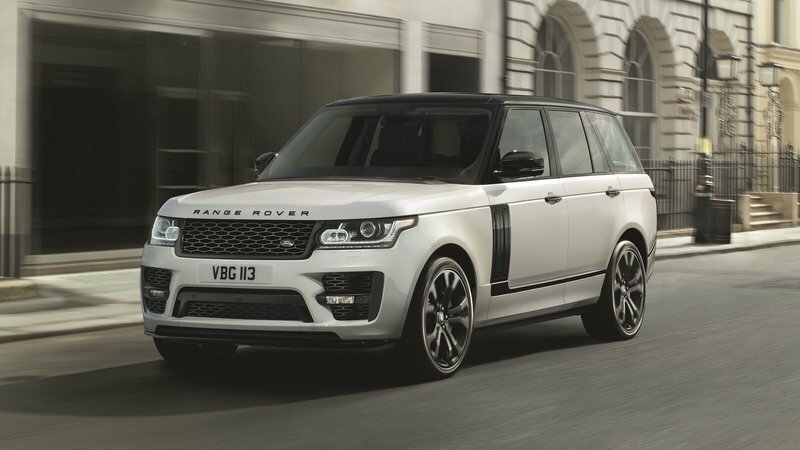 The new Design Pack is available to all standard wheelbase Range Rover models built after 2013, and true to form of upholding the finest in British luxury, SVO shunned away from making any overbearing additions to the mighty SUV. If a customer is looking for an outlandish wide-body kit of some sort, best go somewhere else because the Design Pack isn’t going to cut it. (Kahn Design, perhaps?) The Design Pack is all about the subtle nuances with bits and pieces of new components added to give the Range Rover a more refined look compared to what it already has. The pack also comes with an assortment of new gizmos and gadgetry of the functional variety, the kind that would be of great use to owners of the SUV. Range Rover has debuted an all-new model – the Velar. 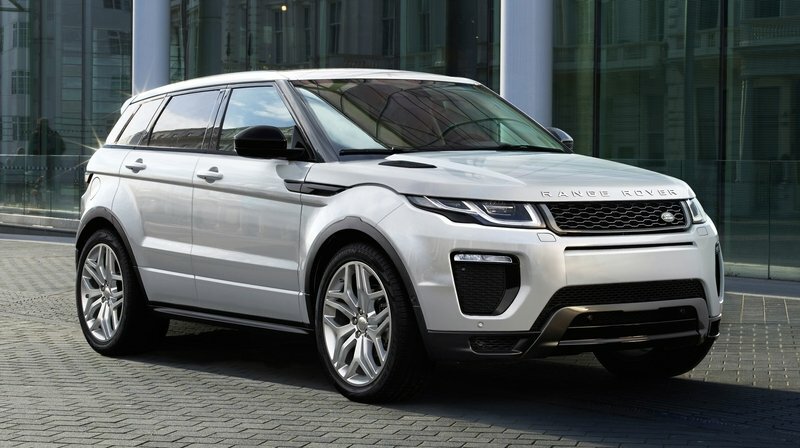 This four-door, two-row SUV fills the space between the Range Rover Evoque and the Range Rover Sport, giving Range Rover a stable with four vehicles, each appealing to a specific niche of the market. The Velar’s appeal is its striking new design, minimalistic interior, and avant-garde detailing. Range Rover also says the Velar ushers in a new era of design for the brand, so we’re expecting similar themes in Range Rover’s future vehicles. The Range Rover Velar debuts for the 2018 model year and arrives in U.S. showrooms in mid to late 2017. 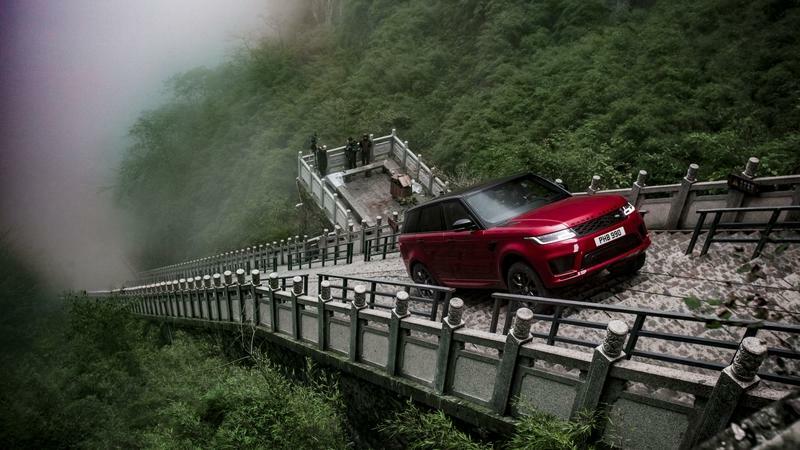 It rides on Land Rover’s Lightweight Aluminum Architecture, similar to the Jaguar F-Pace. In fact, both vehicles share an 113-inch wheelbase and JLR’s 2.0-liter four-cylinder turbodiesel and 3.0-liter supercharged V-6. 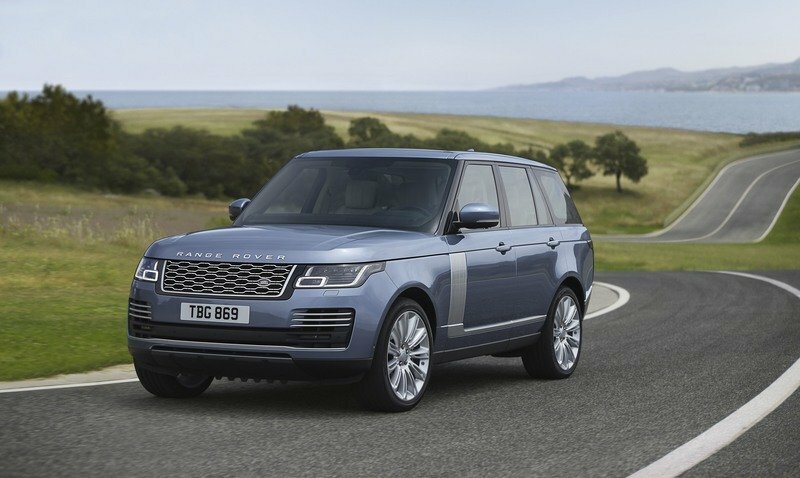 The Range Rover expands its powertrain by one, positioning JLR’s 2.0-liter gasoline turbo-four as the mid-range engine option. Similar to the F-Pace, the diesel comes standard with the V-6 being the range-topping choice. Despite the Velar sharing its bones with the Jaguar F-Pace, the Range Rover is certainly its own vehicle. Not only does the Velar come with Land Rover’s impressive off-road chops, but its design is clearly a huge step towards the future of luxury. While the Velar won’t completely “change everything,” it is definitely a statement piece Range Rover will model the rest of its lineup after. 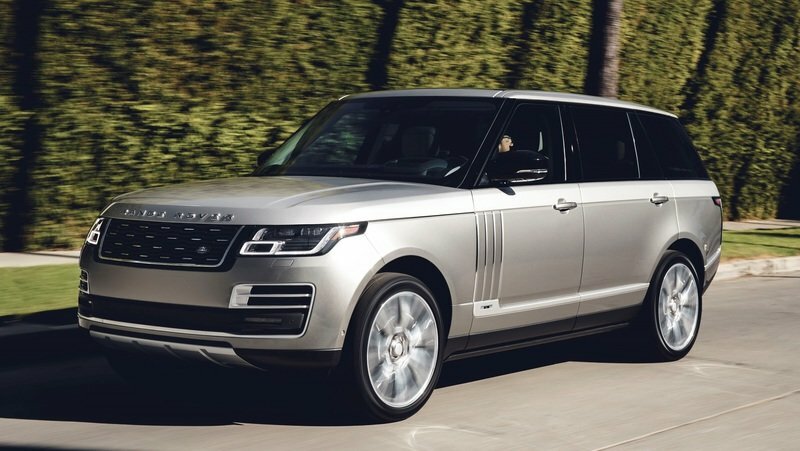 It’s very likely we will see the Land Rover Range Rover adopt this high-end look while adding even more upscale touches. Regardless of the future, the Velar is shaking things up. The Velar’s pricing starts at $49,900 and will reach into the low $90,000s. 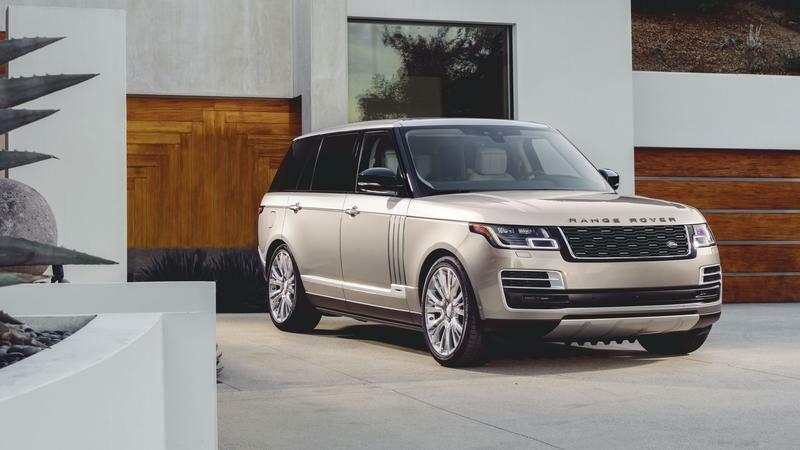 Range Rover is even offering a First Edition. Limited to roughly 500 examples in the U.S., the Velar First Edition comes with special paint colors, more standard features, carbon fiber trim, and a 1,600 Meridian Signature sound system. Range Rover will officially debut the U.S.-spec Velar at the 2017 New York Auto Show in April. 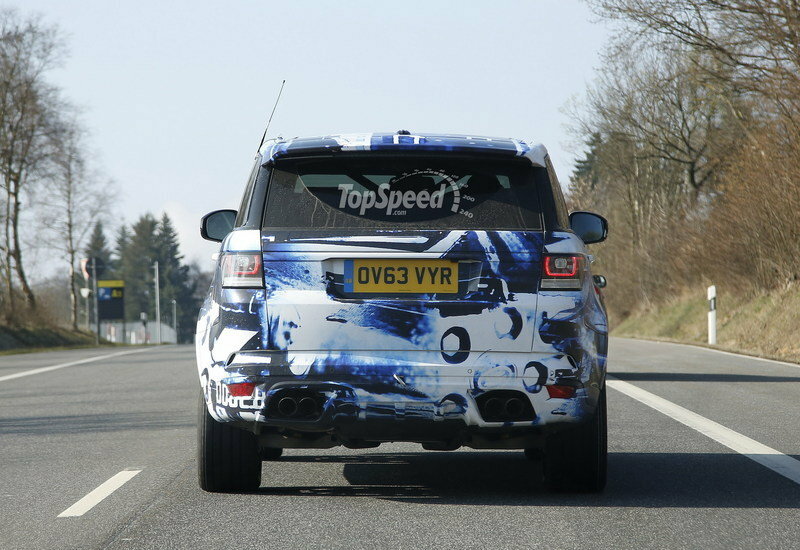 Range Rover Sport SVR Testes 0-to-62 MPH on Six Surfaces! Acceleration Times on pavement are great, but what about gravel, snow, and mud? 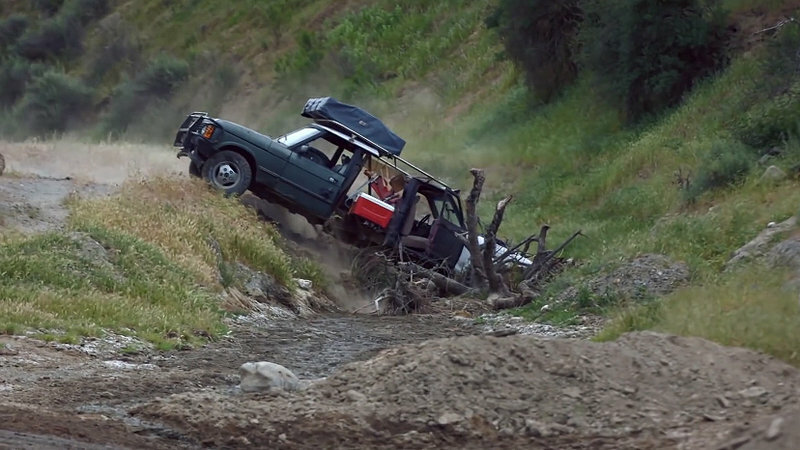 Land Rover has built its empire with vehicles claiming excellent off-road abilities. More recently, it has built SUV just at home on a road course as the African safari. 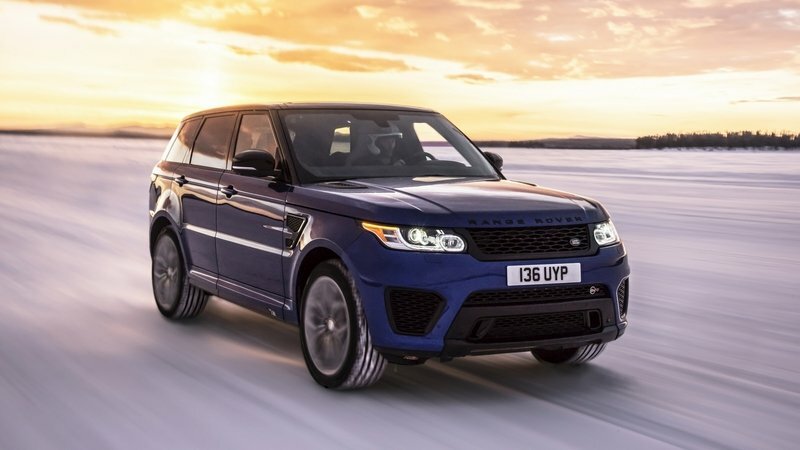 The Land Rover Range Rover Sport SVR is the highest form of this on-road/off-road combination thanks to its supercharged V-8, advanced full-time 4WD system, air suspension, and high-performance pedigree. Now the automaker has set out to prove the SVR’s capacities. Hitting 60 mph from a standstill has been the quintessential evaluation mark of a vehicle’s performance for nearly 100 years. 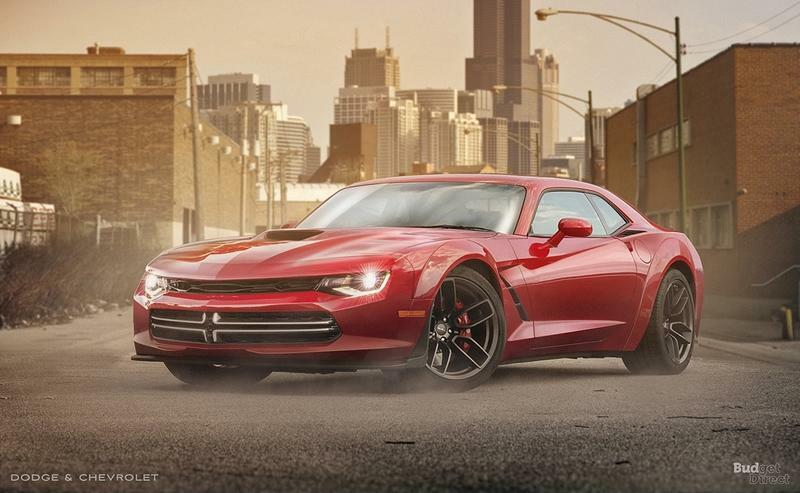 Most vehicles have gotten pretty darn good at it, thanks to the advancement in tire technology, traction control, fast-shifting automatic and dual-clutch transmissions, and outlandish power levels coming from forced-induction engines. The 2017 Jaguar F-Type SVR will hit 60 mph in just 3.5 seconds thanks to its supercharged 5.0-liter V-8, AWD system, and eight-speed automatic transmission. 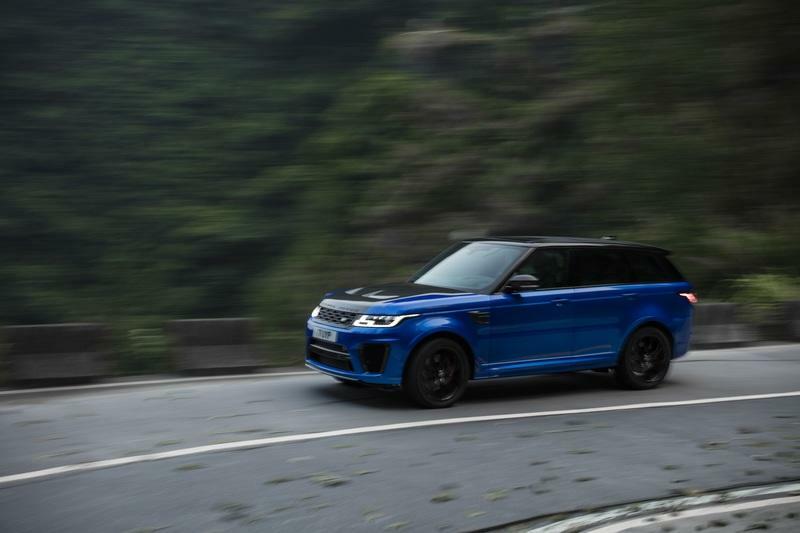 The Range Rover Sport SVR shares the Jaguar’s engine and transmission, but with some minor tweaks to the engine management software. The all-aluminum mill kicks out an impressive 550 horsepower and 502 pound-feet of torque – enough to send this 5,495-pound SUV flying to 60 mph in just 4.6 seconds! Of course, the Brits use kilometers, so the goal speed translates 100 kph, or 62 mph. The extra two miles per hour only add a tenth of a second, meaning a 0-to-62 mph time of 4.7 seconds. 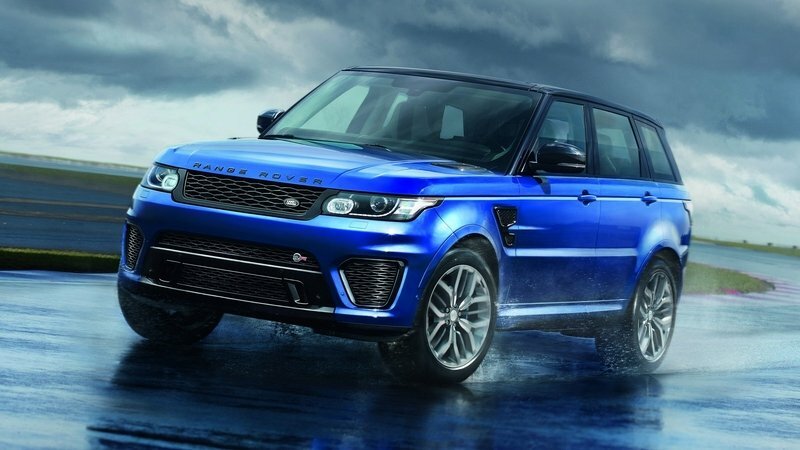 But the Range Rover Sport SVR is a Range Rover, for crying out loud! How does it perform in less-than-ideal circumstances? 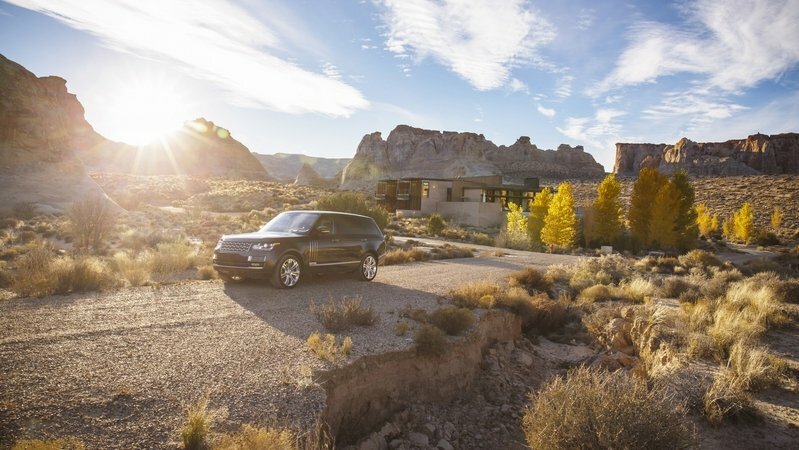 To find out, Range Rove put its fastest model on five terrains other than smooth, dry asphalt. 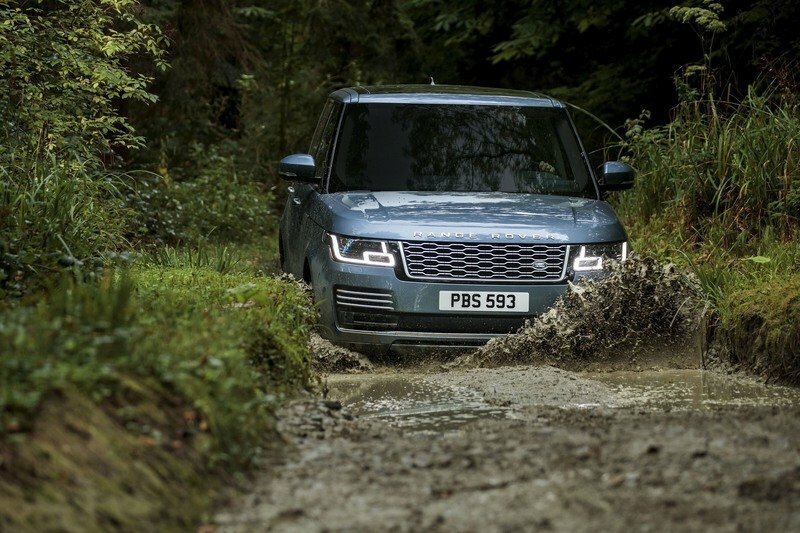 Those terrains also coordinate perfectly with the Range Rover’s Terrain Response 2 full-time 4WD system, allowing the Range Rover to strut its stuff. The modes tested include Grass/Gravel/Snow, Mud, and Sand. Keep reading for the results of this unconventional 0-to-62 mph testing. Is Range Rover jumping into the SUV Coupe segment? 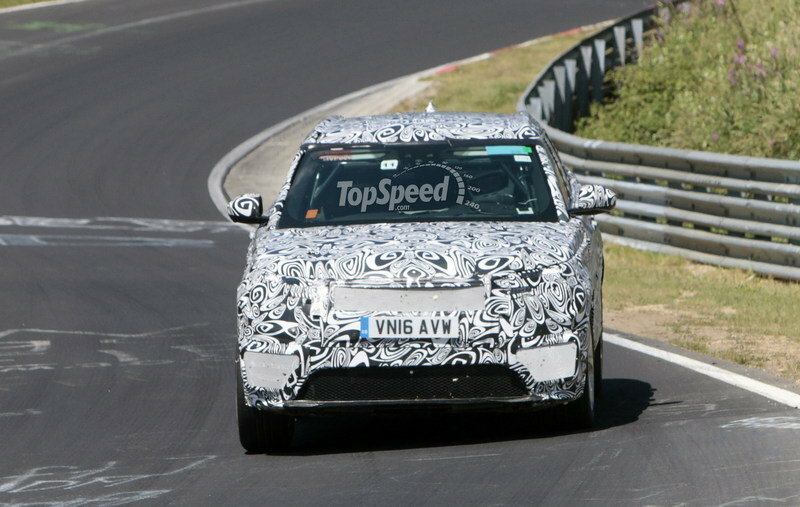 Our spy photographers just captured a rather odd-looking SUV tracking around the Nürburgring. Turns out, this heavily camouflaged test mule is the beginnings of a SUV Coupe from Range Rover. 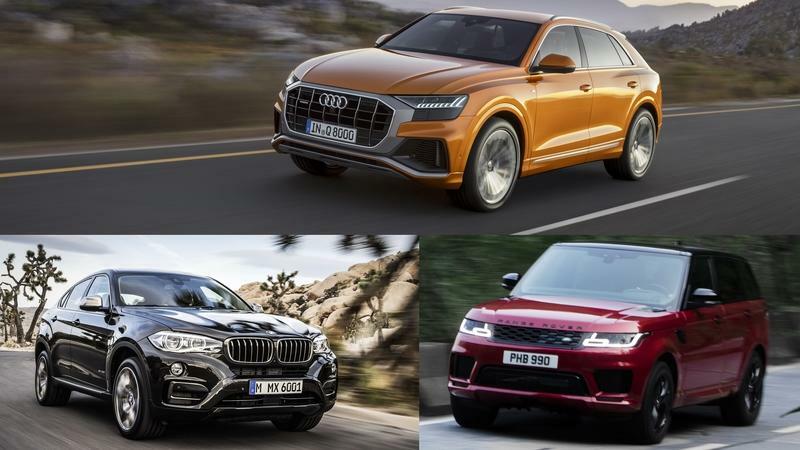 Yep, more than eight years after BMW debuted the X6 and a year after Mercedes-Benz released the GLE Coupe, Range Rover is hopping into the ring. Range Rover’s high-riding coupe appears to share its chassis with the Range Rover Sport. 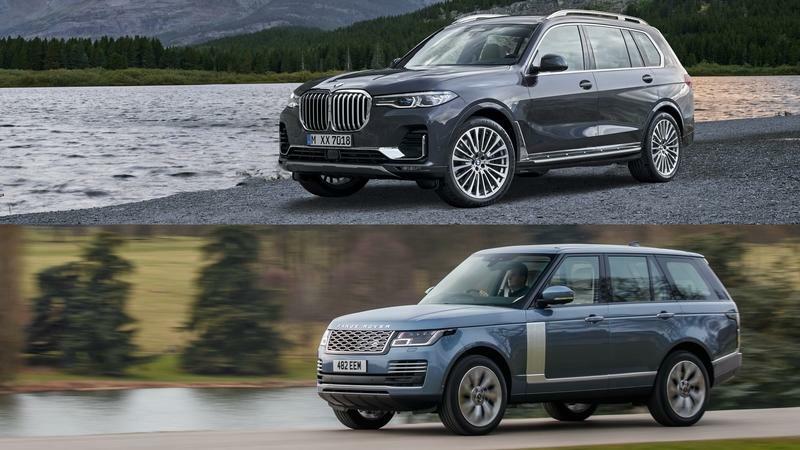 We’d expect the two SUVs to share the same wheelbase and suspensions systems, although the coupe will undoubtedly have a unique outward appearance. Inside, the new Rover coupe will carry the current JLR design language, but could depart slightly from the status quo with a sportier appearance. So will the Range Rover coupe do well in the market? 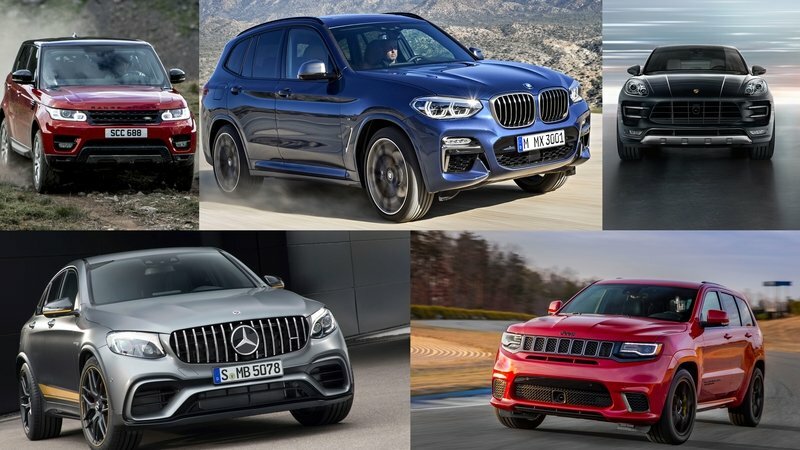 Well, it’s hard to say, but BMW has been selling between 3,000 to 6,000 X6s in the U.S. since 2008, but with a sharp uptick to nearly 8,000 units in 2015. The X6’s European sales are more respectable, with the SUV selling 14,158 examples in 2015. The GLE Coupe’s U.S. sales are lumped in with the GLE SUV, so it’s hard to say how well the new coupe is doing. In Europe, however, Mercedes sold 4,324 examples in 2015. That’s not terrible considering the GLE Coupe debuted as a 2016 model and was only available in dealerships for part of the year. Nevertheless, we’d bet Mercedes has a hit on its hands. Range Rover would be wise to offer something slightly different – something slightly more SUV-ish – to lure buyers away from the competition. After all, BMW and Mercedes has the sporty theme covered, why not jump on the sporty/off-road idea? So will the Range Rover Coupe be a success? Only time will tell. In the mean time, let’s dive into these spy photos. Keep reading for the run-down. Update 12/29/2016: Our spy photographers caught the upcoming Range Rover Sport Coupe out for a new testing session, this time during cold weather conditions in Sweden. As you can see from the photos the prototype looks pretty much identical to the previous ones, meaning that the car is still under intense testing. Continue reading to learn more about the Land Rover Range Rover Sport Coupe. Land Rover’s popular Range Rover Sport is getting some attention for the 2017 model year. Small changes to the exterior pale in comparison to the new technologies integrated into the interior. From advanced driving aids and upgrades to the Terrain Response 2 system to an innovative trailer towing app and a new 10.2-inch infotainment screen, the 2017 updates bring big new for technophiles. 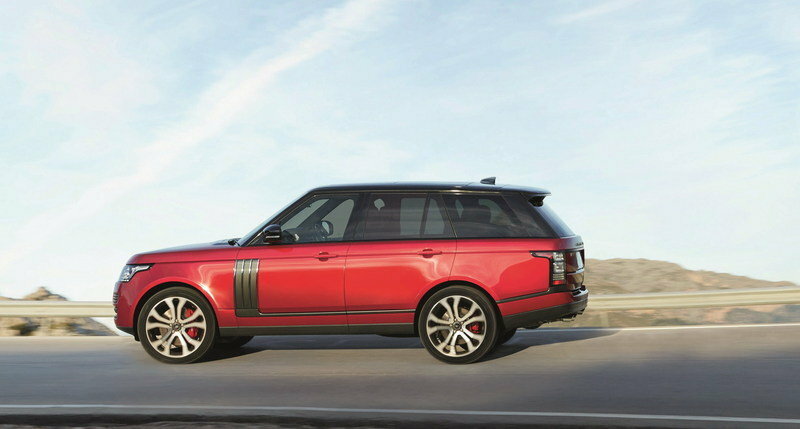 The Range Rover Sport’s drivetrain remains unchanged, including its 550-horspower output and legendary 4WD system. Changes to the exterior basically denote the new model year and the updates hidden inside the leather-lined cabin. These changes are the first big updates for the Range Rover Sport since the second-generation’s introduction in 2013. Before that, the first generation Rover saw action from 2005 to 2012 with a facelift in 2009. Continuing with its aluminum-intensive structure and powerful V-8, the 2017 Range Rover Sport should provide all the same driving pleasure as before, but with added conveniences and technology that make ownership fun. Let’s dive into the 2017 updates. Continue reading to learn more about the 2017 Land Rover Range Rover Sport. It’s called the PreRangerRoverLandeRunner and it’s awesome! Fred Williams and his buds at Dirt Every Day are some of the craziest yet most creative at the Motor Trend headquarters. The YouTube show usually consists of some nutty build job or how to conquer off-road hardships on the cheap. Well, the latest episode has it all. In fact, everything that could possibly be included in an off-road vehicle is somehow hog-pogged together on the “PreRangerRoverLandeRunner.” Yep, it’s a thing. Fred, with the help of Dave, build an “all-encompassing” off-roader that can pre-run, mug bog, rock crawl, and overland camp. Impossible? Nope. The guys hack together a first-generation Ford Ranger and a thoroughly trashed first-generation Range Rover in a beastly concoction of welded angle iron, rust, and jerry-rigged electronics and fuel systems. What’s more, they somehow convinced a overlanding tent manufacturer to send them a roof-mounted tent for review, along with Maxxis giving them four new Bighorn mud tires. I won’t give away too much of the driving portion of the video, but needless to say, this two-headed monstrosity goes like none other and looks rather dangerous. Let’s just say I wouldn’t want to be riding backwards down a dirt road in a vehicle held together by some scrap iron and dinky welds. Thankfully both Fred and Dave make it out alive, though the same might not be true for the PreRangerRoverLandeRunner. But you’ll have to watch the video to see what happens. Only two years after its introduction, it seems the Range Rover Sport SVR is getting some updates. Presumably being readied for the 2017 model year, the supercharged SUV was spotted by our photographers coated in camouflage. Despite the coverings, its clear Range Rover designers didn’t go overboard with design updates. In fact, every visible body panel appears to be unchanged. There is, however, plenty of opportunity for updated air intakes that reside ahead of the front tires. 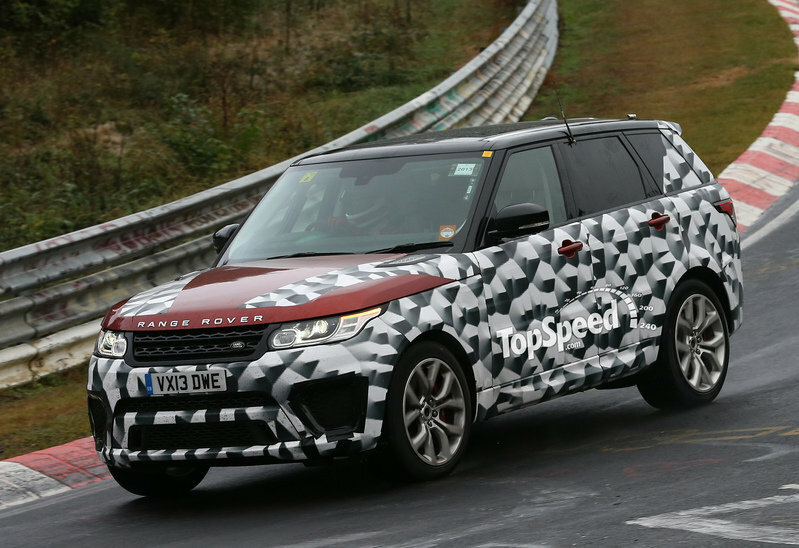 And while there’s no discernable exterior change to note, we fully expect Range Rover to update the Sport SVR’s powertrain. Currently the Sport SVR packs the 550-horsepower version of Jaguar Land Rover’s 5.0-liter V-8. The 2017 refresh should bring the extra 17 horsepower found in the Jaguar F-Type SVR, boosting power to 567 horses. Interior accoutrements will likely get a modest update as well. Expect new trim and leather offerings, as well as the latest version of JLR’s infotainment software. We’re not expecting anything major here, so the current interior should mostly carry over unchanged. There’s still plenty to talk about, so continue reading for more. Jaguar Land Rover appears to have something in store for Range Rover by taking it into what amounts to “parts unknown” for the luxury SUV brand. 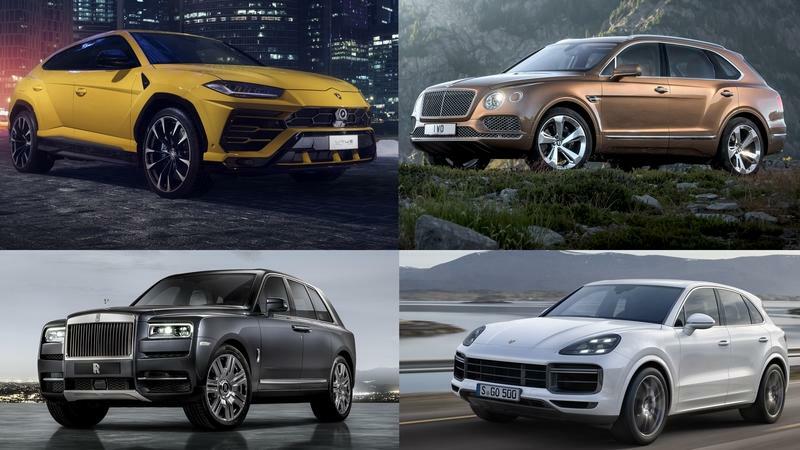 Word has it that there’s a strong likelihood that we’re finally going to get a sportier and road-oriented SUV from Range Rover, one that will compete directly against the likes of the BMW X6 and the Mercedes GLE-Coupe. No official announcement has been made, and for good reason. JLR is keeping details about this model under lock and key for the time being. 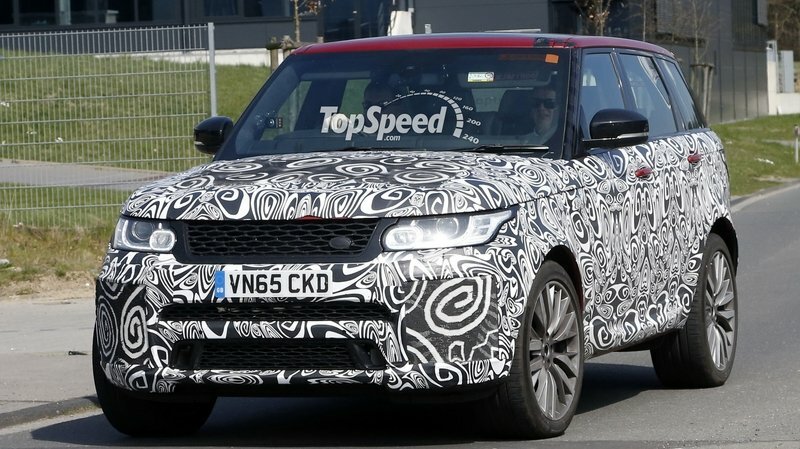 That said, word on the street is that the model carries the codename “L560” and will eventually evolve into the Range Rover Sport Coupe. The Sport Coupe, or “Evoque XL” as it was referred to when Land Rover unveiled its three-pillar brand strategy back in 2013, is being developed with the goal of slotting it between the Evoque and the Range Rover Sport. It’s believed that it will carry the same alloy chassis that’s currently being used by its cousin from Jaguar, the F-Pace. More importantly, the Sport Coupe will be built with a clean slate. 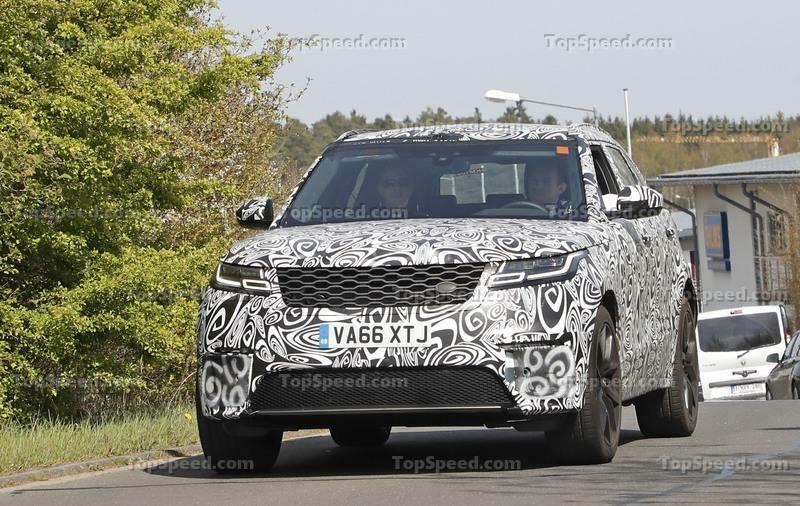 That means we can expect a completely new and different look from any of the models Land Rover already has around. Specific design elements are already being considered, including the prospect of seeing a sloping roof line, tight rear overhangs, and a luxurious and cockpit-like interior that will rival that of the X6 and the GLE. New materials and finishes, specifically for the cabin, are also expected to be included in the development of the vehicle. As far as engines are concerned, the Sports Coupe will likely utilize JLR’s range of six- and eight-cylinder gas and diesel engines. A four-cylinder is also possible, although don’t expect to see one if the British automaker is set on developing the SUV as a straight-shot rival to the X6 and the GLE. A hybrid powertrain is also a possibility, as is an all-electric version and a range-topping variant that will utilize the same 5.0-liter supercharged V-8 that its counterpart in Jaguar, the F-Pace SVR, will also use. 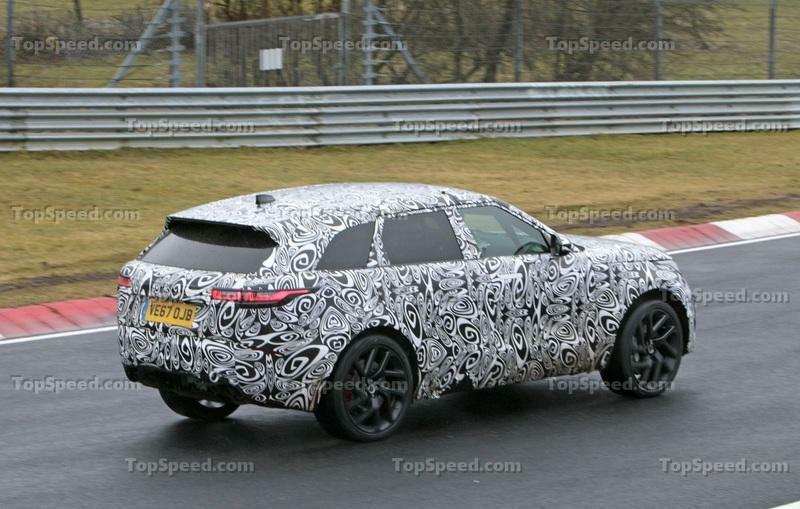 Given the extensive “details” that’s been leaked about the model, I suppose JLR will make an announcement sooner than later, especially with the launch timetable for the Sports Coupe supposedly set for 2017. As if the SVAutobiogrphay edition of the Range Rover wasn’t special enough, Land Rover today announced its partnership with the famed British shotgun maker Holland & Holland. The result is the most detailed, luxurious, and well-armed Range Rover to ever leave the Solihull, U.K. assembly plant. Adding to the allure is Land Rover’s very limited production run, with the U.S. only allotted 30 examples. Of course, when supply is limited, prices rise. That might help explain the Range Rover’s whopping price tag of $244,500. That’s nearly $45,000 beyond the starting price of the “standard” Range Rover SVAutobiography. 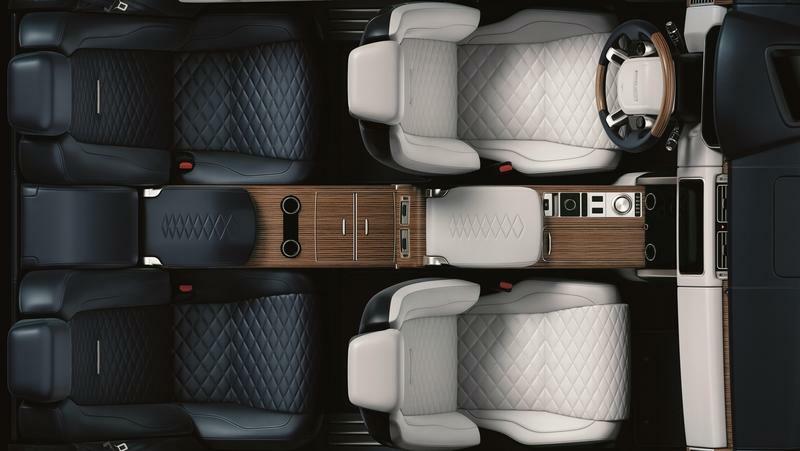 Those 30 wealthy owners will enjoy the Range Rover’s added features, which include bespoke exterior and interior design elements, along with a leather-trimmed and lockable gun case, perfectly suited for two hand-crafted Holland & Holland firearms. "The whole SVO team is very proud of this car, a bespoke design, which perfectly meets the very particular needs of Holland & Holland customers," said John Edwards, Managing Director of Jaguar Land Rover Special Operations. "This shows the huge potential of SVO, which encapsulates both off- and on-road performance as well as luxury and craftsmanship." Despite the exorbitant price, this isn’t the most expensive Range Rover. 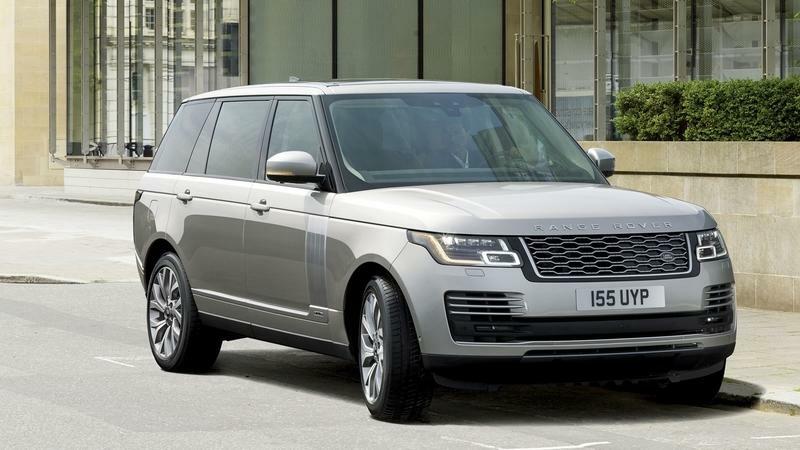 In fact, just last year for the 2015 model year, Range Rover charged roughly $284,000 for – you guessed it – the Holland & Holland special edition Range Rover. Like the most modern iteration, the previous model offered nearly all the same features, though was based on the comparably less-ritzy Autobiography edition. 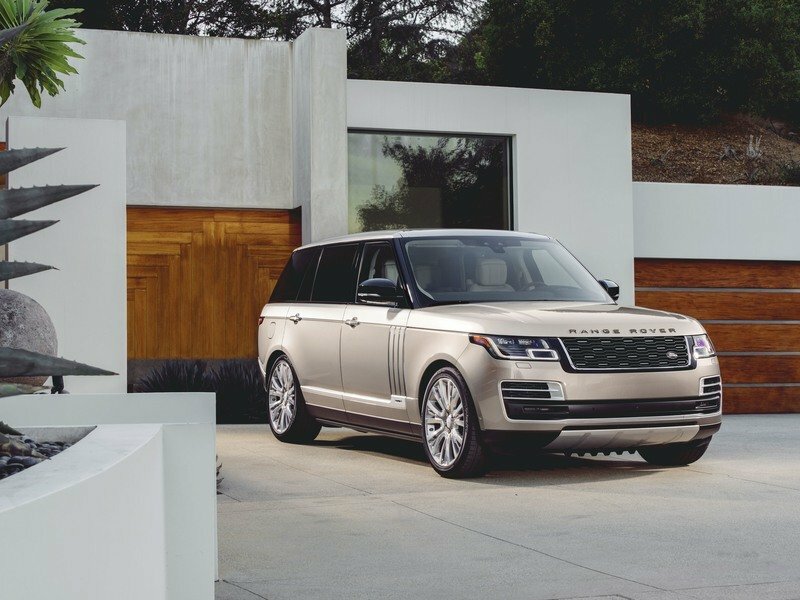 So without further ado, let’s check out what the 2016 Range Rover SVAutobiography Holland & Holland Edition has in store. 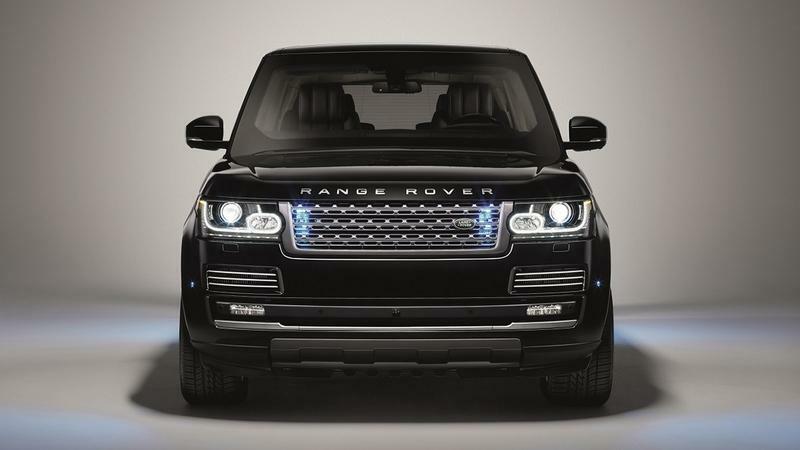 Continue reading to learn more about the Land Rover Range Rover Holland & Holland Edition. 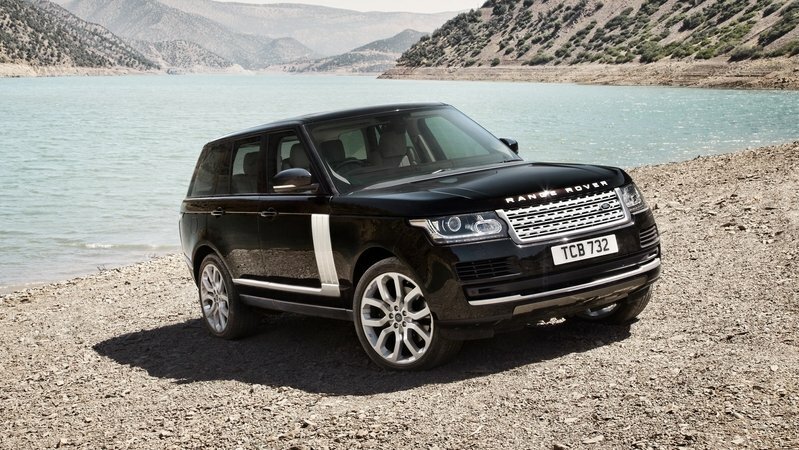 Land Rover gave the Range Rover a complete redesign for the 2013 model year. That redesign included a much lighter all-aluminum body structure that, when combined with other changes, dropped a whopping 771 pounds from the overall weight of the previous generation SUV. With several engine options that offered a range of horsepower from 250 to more than 500, the then-new Range Rover was better than ever. Now, with just three years under its belt, the newest generation is slated to go under the knife for a minor facelift. The images you see here are of the facelifted model doing some real world testing. As you can see, only about forty percent of the SUV is covered in camouflage, with all of the camo concentrated on the front and sides. So, what is JLR trying to conceal behind this little bit of cover? 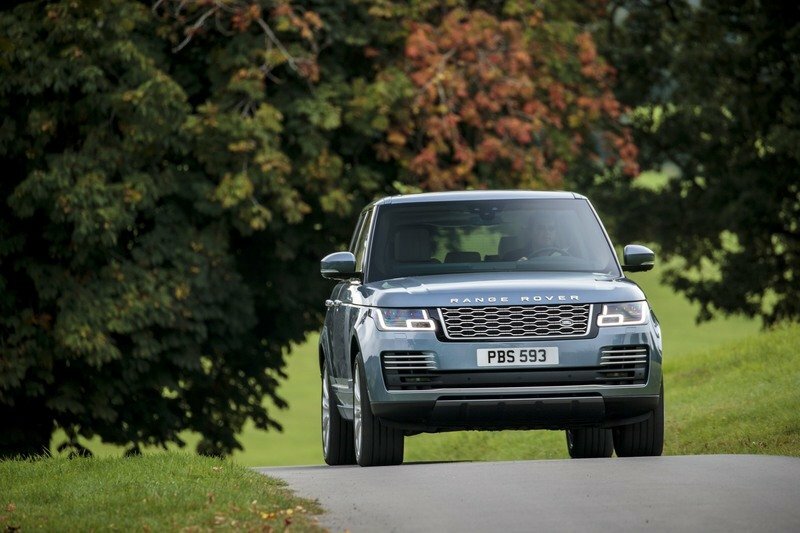 We don’t expect JLR to change up a whole lot with the luxurious and sporty look of the Range Rover. Keep on reading for what we can see from the spy shots and what might be lurking under that little bit of camo. Continue reading to learn more about the facelift Land Rover Range Rover. When the SUV was born, it wasn’t exactly the safest vehicle on the road. They were all originally designed to be off-road vehicles, yet we all decided it was a good idea to use them as family haulers and highway queens. The problem was that they were top heavy, and suspension technology at the time was far from sufficient to allow quick cornering or abrupt maneuvers without disaster following immediately after. That is all in the past now, and SUVs are getting better. One prime example is the 2015 Range Rover SVR. It completes a 0 - 60 mph run in just 4.3-seconds, and it can maneuver like some of the best sports cars out there. In the newest episode of Ignition, Jason Cammisa pits the SVR and its 550 horsepower up against Randy Pobst in the 240-horsepower 2014 Alfa Romeo 4C sports car. The 4C, by the way, is made of carbon fiber and has a mid-engine configuration. It hits 60 mph in 4.5-seconds and has a top speed of 160 mph. The way the SVR manages to keep up around each curve is astonishing. On the Nurburgring, the 4C beats out the SVR by about 10 seconds, but what about at Willow Springs? Seeing the two run together really puts things into perspective. Watch the video to see for yourself. Land Rover has not been shy about spending development dollars on high-tech, experimental gadgets over the last few years, including the transparent bonnet for off-roading. Now the automaker is taking transparent one step further – the transparent trailer. 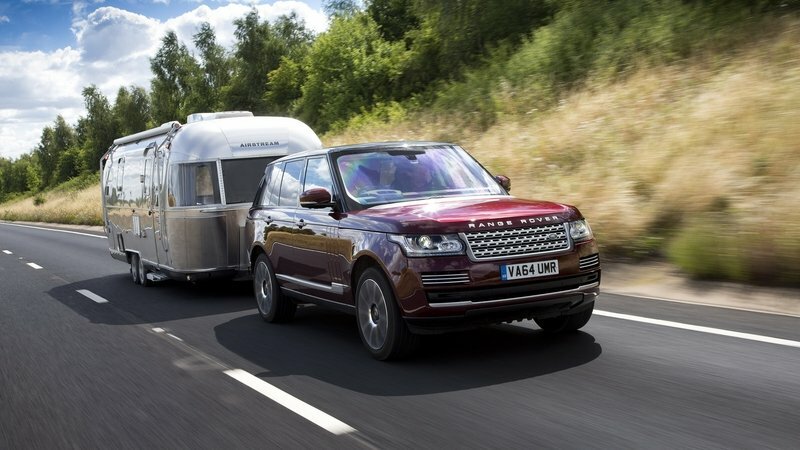 Yep, Land Rover is working on a camera system that eliminates the blind spots created when towing a trailer. The system work by utilizing the vehicle’s existing backup camera in addition to a wireless camera mounted to the back of the trailer. An on-board computer then compiles the images, making the trailer nearly see-through. And “nearly” happens on purpose. The driver can still view a ghostly image of the trailer from the backup camera while traveling down the road. This helps him keep an eye on things, adding to the level of safety. When it comes to backing up, the wireless camera on the rear of the trailer takes over viewing duties. The system even superimposes guidance lines over the live image. When reversing, the imagine displays on the main infotainment system’s screen. When traveling forward, however, the composite image is shown on a modified rearview mirror. What’s more, Land Rover is also developing an integrated camera system that works with the transparent trailer gear to monitor cargo inside the trailer. Special pressure-sensitive floor mats allow the computer to monitor the cargo’s position and alert the driver if anything has shifted. When alerted, the front passenger is able to view the trailer’s interior on the infotainment screen. Though neither of these systems is ready for production, they could potentially become available in the future. Such advancements can and are changing the way people drive. Continue reading for the full story, including a video. Jaguar Land Rover has issued a recall over a rather startling issue with its door latches and sunroofs in several of its Land Rover and Range Rover models. Starting with the door latch issue, JLR is recalling 65,352 Range Rover and Range Rover Sport SUVs because their doors can reportedly swing open while the vehicle is driving. The issue stems from the latching mechanism not fully latching the door closed, despite the door appearing to be in the closed position and the instrument cluster indicating the same. JLR spokeswoman Maria Rodriquez told Automotive News the issue is a result from a software glitch that allows the doors to become unlatched without warning. If that weren’t frightening enough, 492 Land Rover LR4s are under recall due to the possibility of its sunroof detaching and flying off while under way. Whoa. While the sunroof flying off is the worst-case scenario, several reports have been filed claiming the adhesive that holds the sunroof in place can weaken, allowing both wind noise and water to leak into the cabin. Thankfully only one report has been filed with the National Highway Traffic Safety Administration claiming the sunroof fully detached from the LR4. What’s more, there are no reports of injuries due to the unlatched doors in the Range Rover or Range Rover Sport. 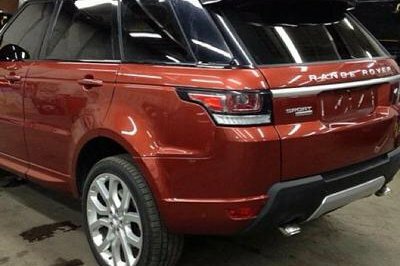 The affected Range Rovers span the 2013 through 2016 model years while the affected Land Rover LR4 models are from 2012 and 2013 model years. Owners of these models can expect to hear from JLR in the near future concerning having their vehicles serviced free of charge. Light the candles and pop the bubbly – Land Rover’s iconic Range Rover moniker turns 45 this week. The Range Rover currently sits atop nearly every other luxury SUV and crossover in terms of features, amenities, and sheer capabilities – both on an off the beaten path. The same can be said for the original Range Rover when it debuted in 1970. Back then, SUVs were far more utilitarian in nature, constructed from steel with strong ladder frames, torquey engines, 4WD, and almost nothing to speak of in terms of creature comforts. The Range Rover changed all that. The original Range Rover, now known as the Classic, combined all the rugged, go-anywhere attributed with a plush interior normally found in a premium sedan of the day. Obviously biased but speaking much truth, Rogers is right about the latest Range Rover’s comfort and technology. The current 2014 Range Rover combines some fairly sophisticated technology in order to provide a smooth ride on the highway, sporty experience in the twisties, and a surprisingly capable platform on the trail. 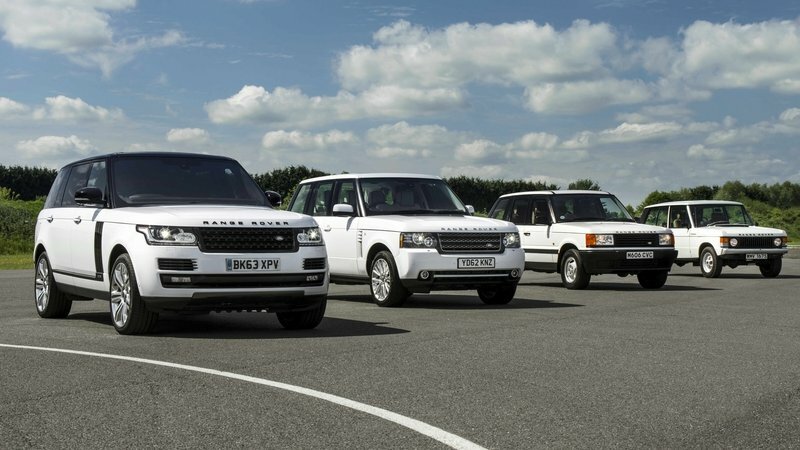 In the last 45 years, Range Rover has managed to maintain its direction and stay true to its original mission. There’s a lot to be said for that. So for history’s sake, let’s take a look at where the Range Rover came from and what interesting details lurk in its four generations. It’s amazing how science fiction turns into reality over the course of time. Remember James Bond’s BMW 7-Series in “Tomorrow Never Dies” that special agent Q had fitted with remote control capabilities? Mr. Bond simply pulled out his cell phone and navigated his armored luxury sedan through a parking garage of would-be assassins. Well that technology has made it to the real world. 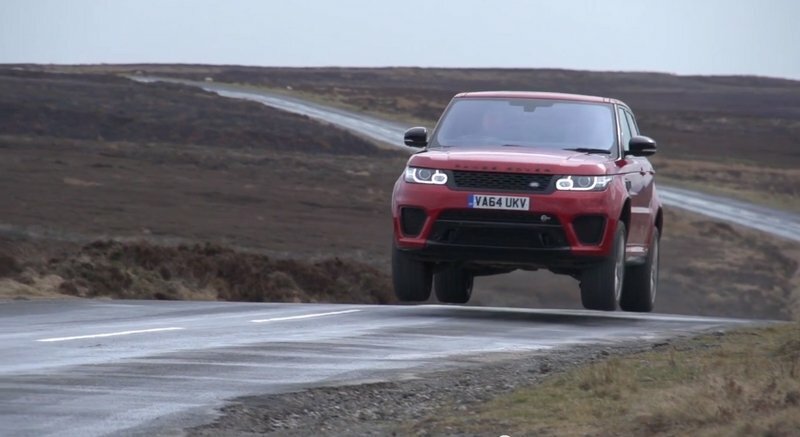 Check out Jaguar Land Rover’s new remote control feature on this Range Rover Sport research vehicle. Customers with a so-equipped vehicle would be able to control it via an app on their cell phone. While the technology is still in its infancy, JLR engineers are testing its viability for several reasons. First, it gives customers an easy way to maneuver their Land Rover out of tight parking spaces while remaining outside the vehicle, closely watching its movements. 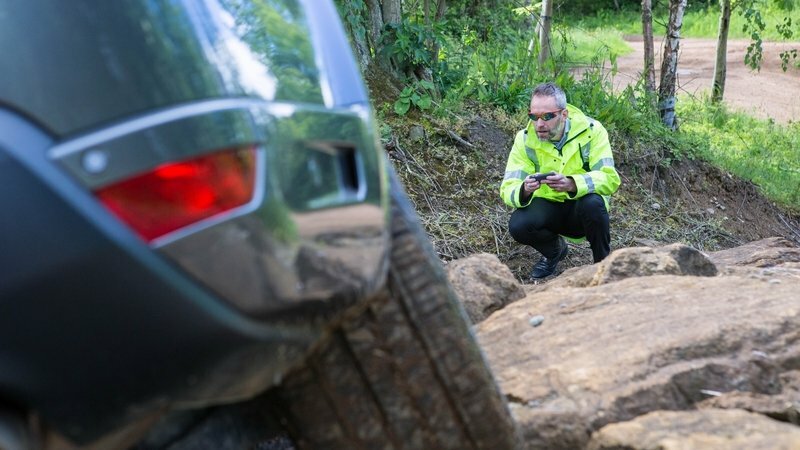 Second, customers who venture off road can use the app to drive the vehicle while acting as their own spotter. The system is currently designed to work with the user within 10 meters of the vehicle but not so close as to be in danger of being hit. The vehicle’s key fob must also be detected within range. The vehicle will also be limited to four mph while in remote control operation. The driver will be able to select Terrain Response settings for varying conditions. This technology brings autonomous driving one step closer, and according to JLR, their goal is to offer owners a choice of engaged or autonomous driving. “Research into technologies like these won’t only help us deliver an autonomous car,” says Dr. Wolfgang Epple, Director of Research and Technology at JLR. “They will help make real driving safer and more enjoyable. The same sensors and systems that will help an autonomous car make the right decisions, will assist the driver and enhance the experience to help prevent accidents.” He concluded saying, “Autonomous car technologies will not take away the fun of driving.” Let’s hope not. In case you’ve ever lain in bed at night pondering whether the new Range Rover Sport SVR would outrun Hennessey’s ridiculous VelociRaptor and its 600-horsepower V-8, you’re in luck. 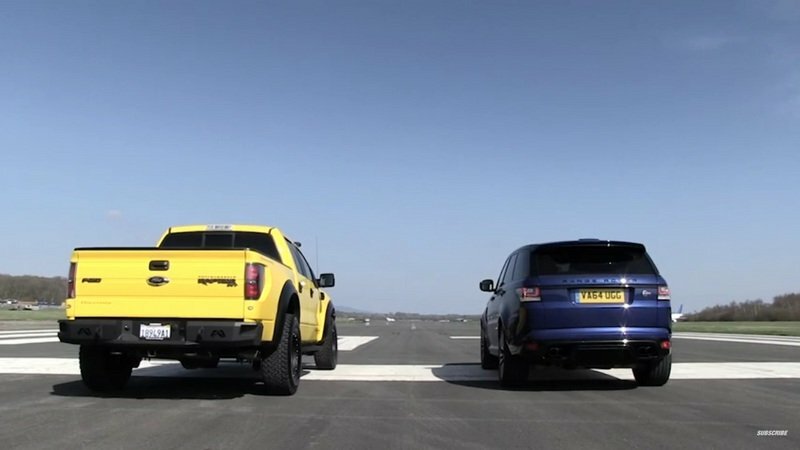 TopGear Magazine have matched the contenders in a head-to-head drag race. Don’t worry, I’m not going to spoil the race results, but I will give a background on both contenders. Up first is the VelociRaptor. The truck started life as an “ordinary” Ford F-150 SVT Raptor. Hennessey Performance then worked its magic on the mechanicals, bolting on a Whipple supercharger atop the Ford’s 6.2-liter V-8 and upgrading the suspension to take even more abuse than a standard Raptor. (After all, it had to survive Jeremy Clarkson and the Stig giving it the beans.) All told, the VelociRaptor makes 600 horsepower at the wheels and is capable of blasting its way over nearly any terrain. In the other corner is Land Rover’s newest high-performance SUV, the Range Rover Sport SVR. Under its aluminum hood lies the same 5.0-liter supercharged V-8 found in the Jaguar F-Type R. It pumps out 542 brake horsepower and 501 pound-feet of torque. Of course with it being a Range Rover, AWD is standard. 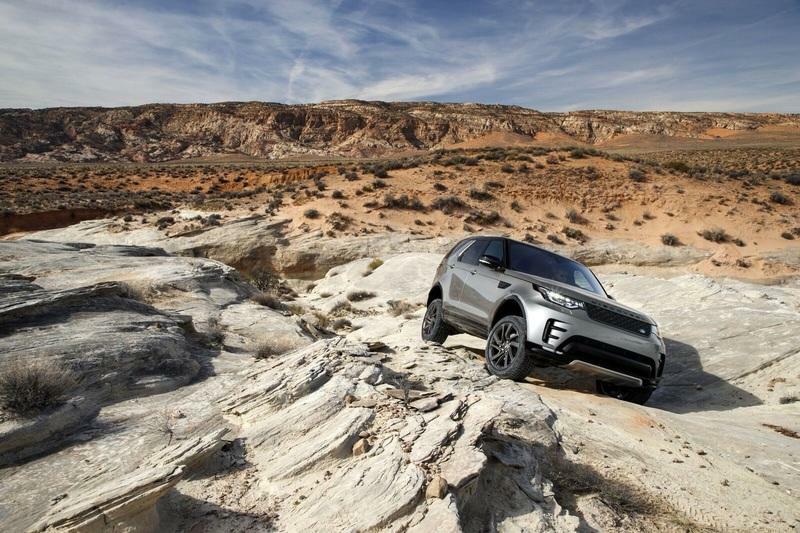 Land Rover engineers have tweaked the suspension and chassis control electronics to make this capable off-road traveler into an all-out track toy. The result is fantastic. But which one takes home the quarter-mile victory? Well, the Raptor is no ballet dancer thanks to its 6,000-pound curb weight. 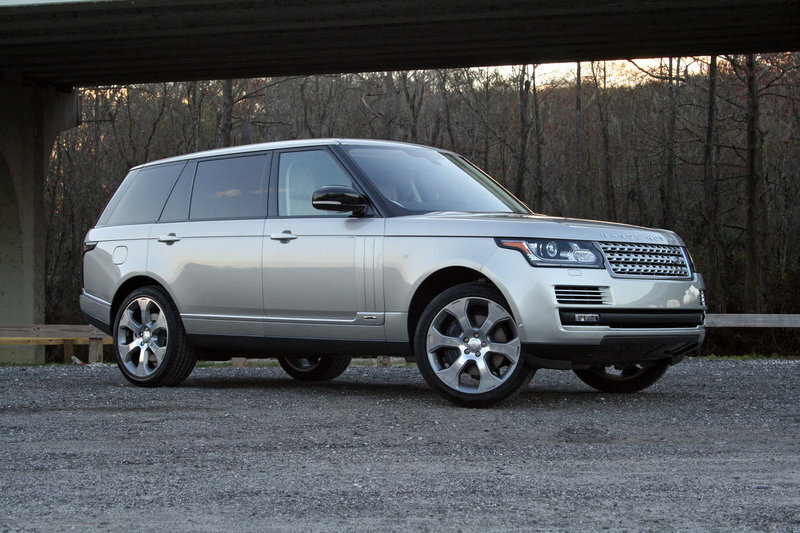 A though Land Rover uses aluminum construction, the Range Rover still weighs roughly 5,500 pounds. The VelociRaptor might have slightly more horsepower, but its gearing is likely far lower than the Range Rover. So for the full battle, check out the video above. 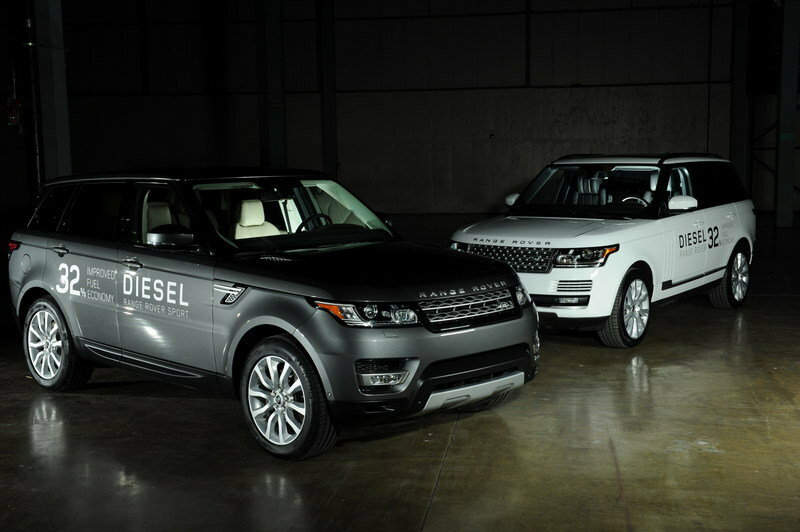 Range Rovers and diesels share a long and storied past together in just about every part of the world except the U.S. Thanks to stringent emissions standards and a general negative public opinion, diesels have yet to swim the pond – that is, until now. 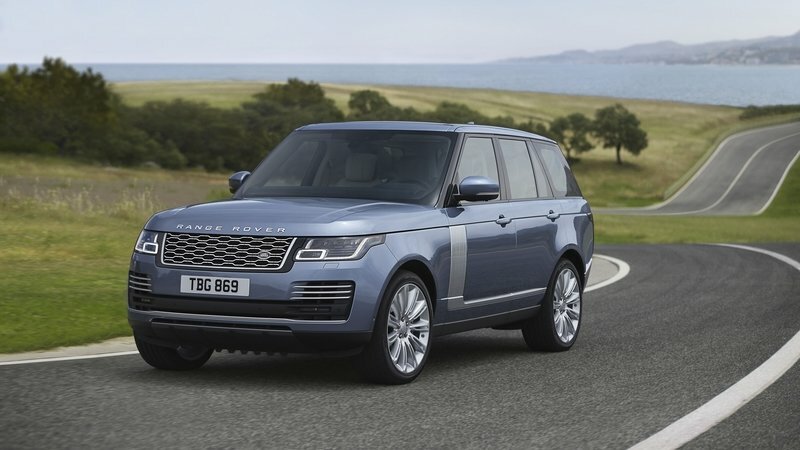 Land Rover has announced it will begin selling its updated Td6 turbodiesel within the States, inside both the Range Rover and its little brother, the Range Rover Sport. Credit can be given to better emissions controls for a public opinion that’s undergoing a slow transformation in the acceptance of compression-ignition engines. While the Td6 diesel is new to the States, the Range Rover Sport carries over from last year. 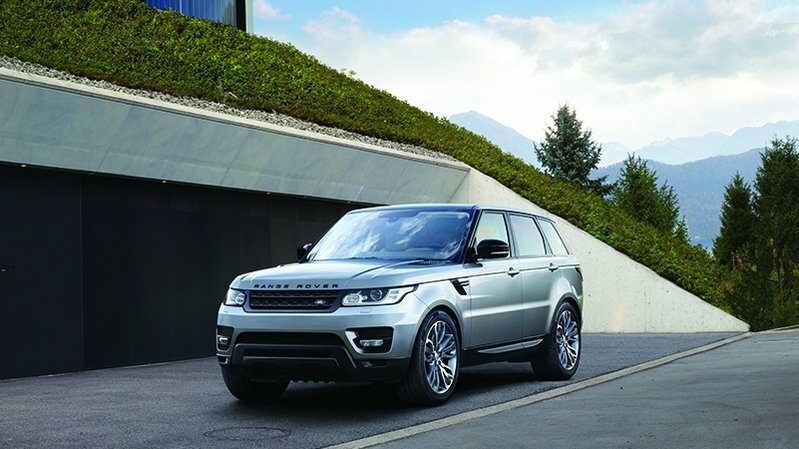 Introduced for the 2013 model year, the second generation Range Rover Sport offers a more nimble ride yet still carries more than 60 years of heritage in its design. Like its big brother, the Sport utilizes an all-aluminum chassis to shed weight and add rigidity. Of course, the three-row SUV comes with Land Rover’s famed Terrain Response 2 system, allowing the driver to tailor the suspension, drivetrain, and peripheral systems to whatever terrain might be under the tires. The most important aspect – at least in this bit of news – is the new turbodiesel. 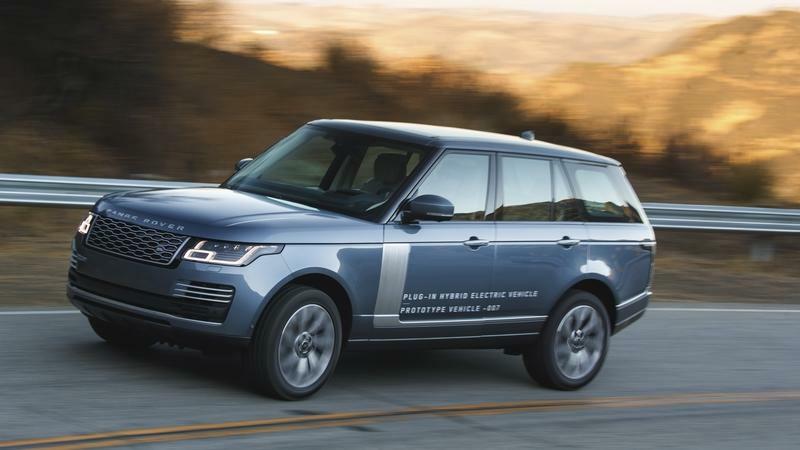 Range Rover says the new V-6 offers a 32-percent improvement in fuel economy over the supercharged gasoline V-6, making the unofficial numbers equate to 25 mpg combined. 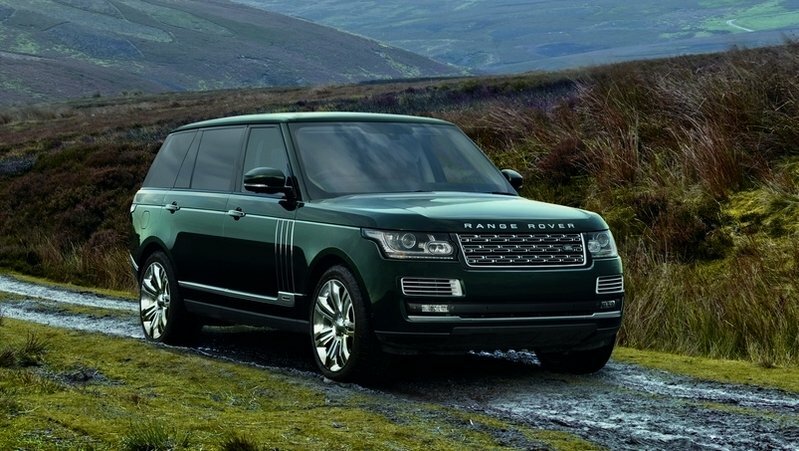 The Td6 will begin appearing under Range Rover hoods starting Fall 2015. 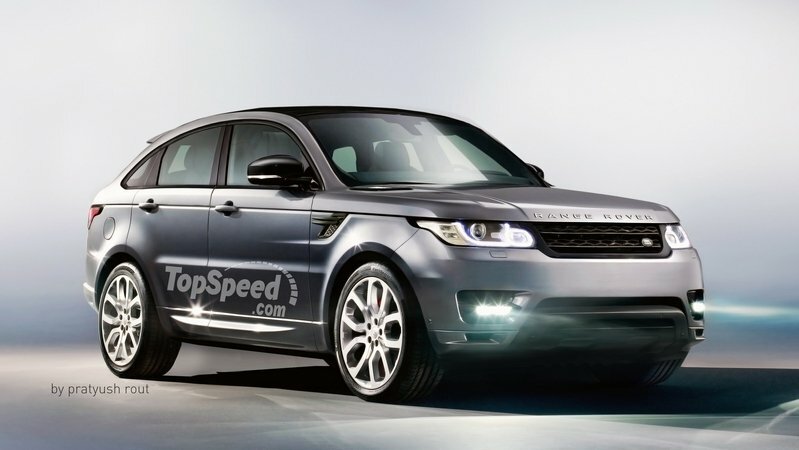 UPDATE 05/27/2015: A leaked document suggests the Range Rover Sport Td6 will start at $66,450 – just $1,500 more than the 3.0-liter V-6 gas version. Details in the Prices section. Click past the jump to read more about the Land Rover Range Rover Sport Td6. Let’s say you’ve got $55,000 to spend on a proper SUV for the family – one that can traverse mud and ruts, snowy hill climbs, and deep water crossings. But you’re also wanting a weekend toy that will lap the Nürburgring in a touch over eight minutes and you have an equal amount of money to plop down. What do you buy? You stack your money and buy this: the $110,000 Range Rover Sport SVR. Amazingly the Range Rover Sport SVR can fulfill both roles and does a surprisingly good job at both. Just watch the video above to get an idea. As you’ve likely already read from our full review of the Range Rover Sport SVR, the machine comes powered by the same 5.0-liter supercharged V-8 as the standard Range Rover, but with a few extra horsepower. Now totaling 542 brake horsepower and 501 pound-feet of torque, the AWD SVR can hit 60 mph in just 4.5 seconds. That’s incredible considering it weights 5,148 pounds.